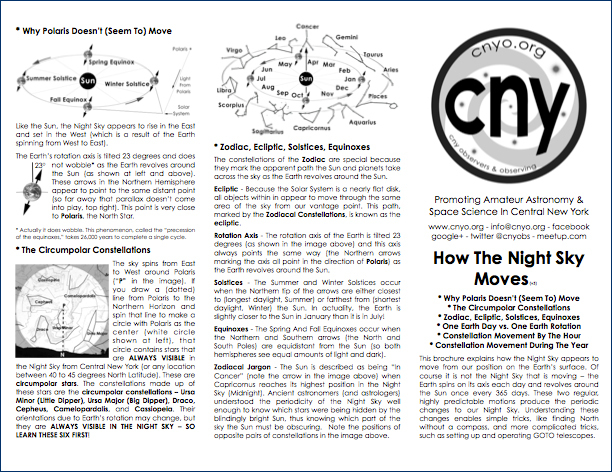 In preparation for upcoming 2013 lecture and observing sessions, we have put together instructional brochures to help introduce the Night Sky to attendees. 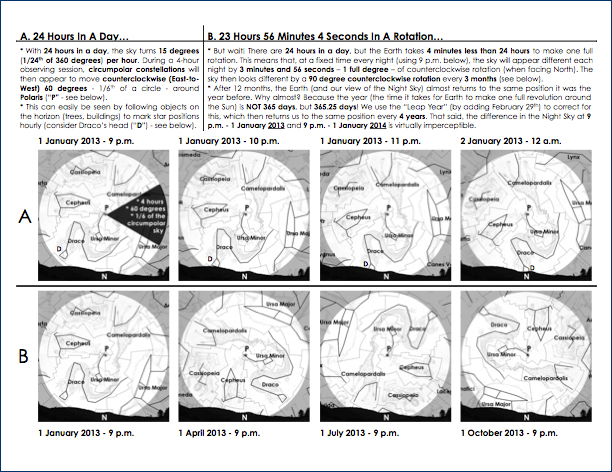 The second of these, entitled “How The Night Sky Moves,” is provided below in PDF format. This brochure will be available at our combined lecture/observing sessions, but feel free to bring your own copy (or the PDF on a tablet with a good red acetate cover! ).